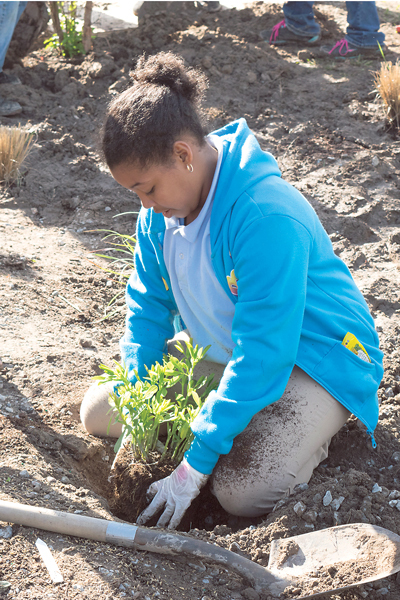 A Sedgefield Elementary student plants greenery on the school’s grounds. Six schools have been recognized as Virginia Naturally Schools for supporting environmental conservation and stewardship. Recognized were the students and staff of Deer Park Elementary (4 years), Discovery STEM Academy (1 year), Marshall Early Learning Center (2 years), Nelson Elementary (1 year), Sedgefield Elementary (1 year) and Booker T. Washington Middle (1 year). 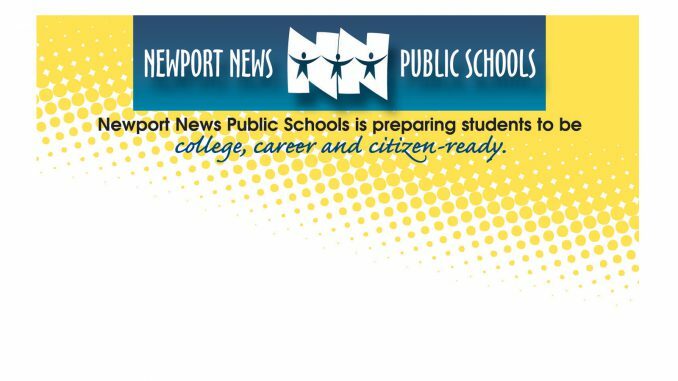 This is the largest number of Newport News schools ever to receive this acknowledgement from the Virginia Department of Game and Inland Fisheries. Virginia Naturally Schools is the official environmental education school recognition program of the Commonwealth, administered by the Department of Game and Inland Fisheries with support from the Department of Education, Department of Environmental Quality and other resource agencies. The Virginia Board of Education has recognized the Virginia Naturally School program as the official environmental education school recognition program for the Commonwealth. Seventy Virginia schools earned the Virginia Naturally School Recognition Award for their stewardship during the 2016–2017 school year. Schools must submit a plan for the following year and carry it through in addition to meeting additional criteria in order to be recognized in additional years. 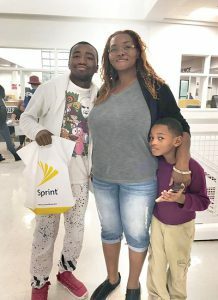 A student from Heritage High School received his Sprint device on Back-to-School night. Through Sprint’s 1Million Project, beginning with the 2017–2018 school year, participating high school students received either a free smartphone, tablet or hotspot device and 3GB of high-speed LTE data per month for up to four years while they are in high school. Students who received a smartphone can use it as a hotspot. A school division sponsored personal learning program is under implementation at Heritage High School this school year; all students will receive a Chromebook (laptop) for use at school and at home. Heritage High students participating in the Sprint 1Million Project will receive a hotspot or a smartphone that can be used as a hotspot to support online access for the Chromebook at home. NNPS high school students responded to a survey to determine eligibility for participation in the Sprint 1Million Project. Students selected to participate do not have access to the Internet at home, or a smartphone or computer. Through the Sprint 1Million Project, students now have home Internet access for schoolwork; teacher and classmate communication; and college and job applications. Virginia was one of 30 states scheduled for the Sprint 1Million nationwide rollout, which included 118 school districts, more than 1,300 high schools and 180,000 students.